BRYAN EATON/Staff photo. 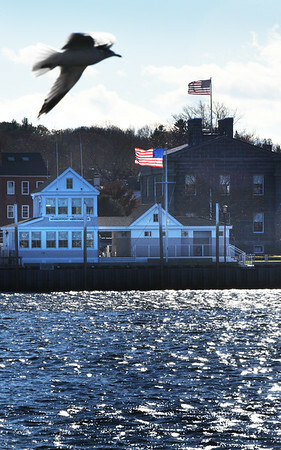 A west wind whips up the waves on the Merrimack River and blows the flags at Newburyport Harbormaster's headquarters and the Custom House Maritime Museum on Monday afternoon making the 40 degree temperature seem colder. A slight warmup is in the forecast for today and tomorrow, with sun on Thanksgiving, but cooler temperatures again.